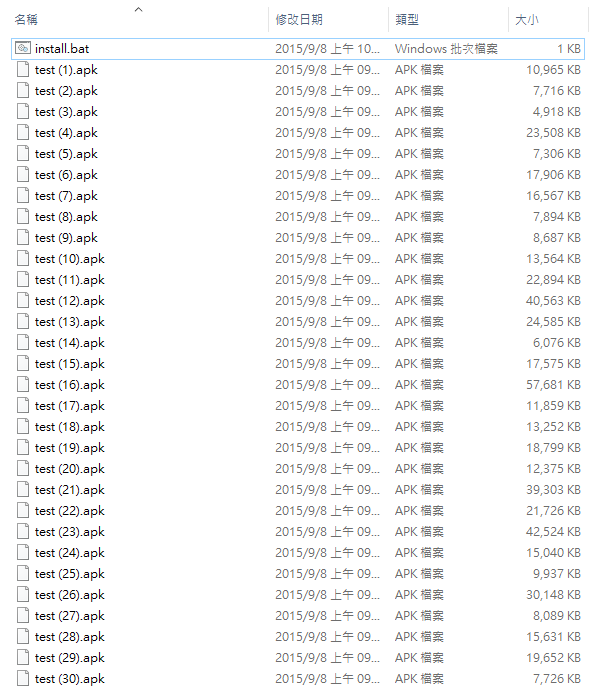 Jiunway's blog: How to install multiple apk into device? How to install multiple apk into device? @for /f "delims=|" %%f in ('dir /b "%CD%\"*.apk') do adb install -r "%%f"